All bookings are provisional until confirmed by email. This should take no more than a few hours. 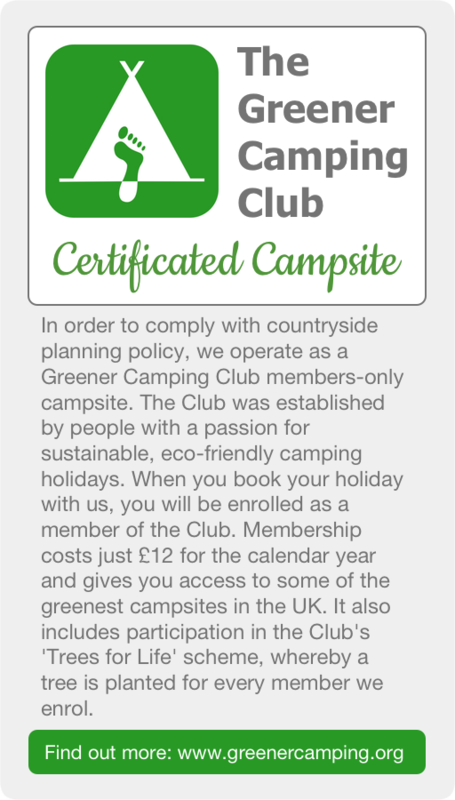 We operate under the rules of the Greener Camping Club (GCC). Please note: The Shepherd’s Hut and the Pod are available for all months apart from January and February. The Bell Tent is on the site May to September only. Fill in the booking request form below with your details (you will get an immediate acknowledgement by email). Once the booking has been confirmed by email you will be asked to pay either a deposit or the full amount. If you are booking more than 4 weeks ahead, a 25% non-refundable deposit is payable. The balance is payable 4 weeks before your stay commences. If you are booking less than 4 weeks ahead, the full amount is payable at the time of booking. Deposits and Greener Camping Club memberships are non-refundable in any event. Bookings cancelled more than 4 weeks prior to the booking date lose their deposit. Bookings cancelled less than 4 weeks prior to booking date will receive a 75% refund if, and only if we can find a replacement booking. Otherwise none of the fee will be repayable. This is part of our terms and conditions.